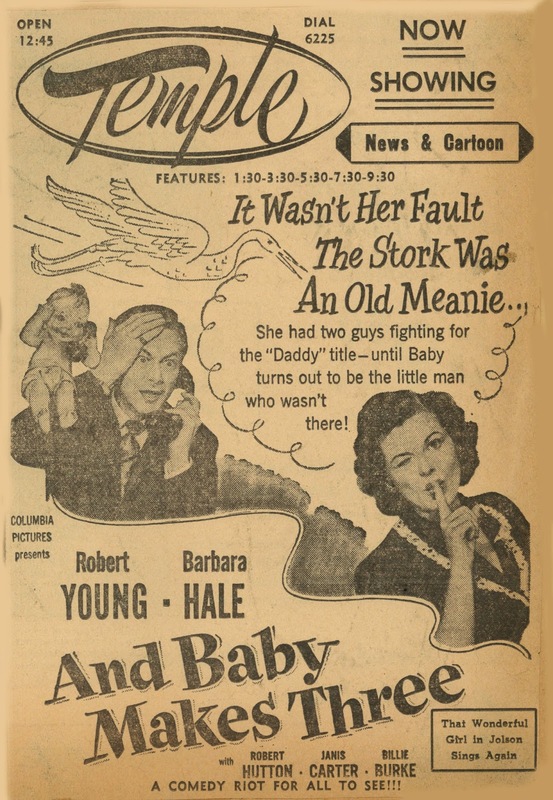 Barbara Hale discovers she's preggers by ex-hubby Robert Young, just as she's alter-bound with successor Robert Hutton! A laugh a minute? 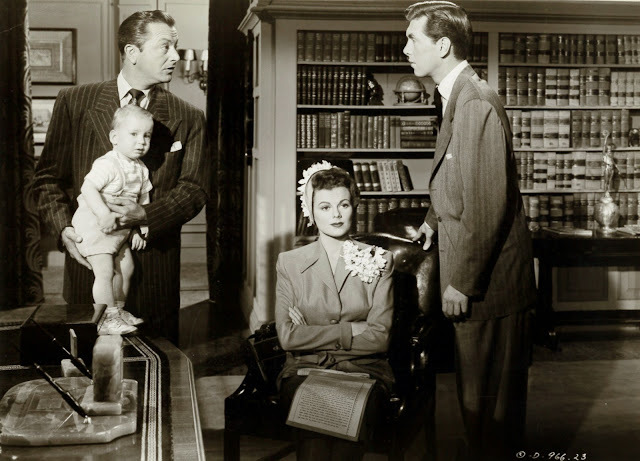 Depends on taste, but sure it's a curiosity, as Baby was Bogie's (as in Humphrey) third independent venture for Columbia release after better-known Knock On Any Door and Tokyo Joe, both starring him. Santana was the label, Bogart desirous that his firm sustain with pics beyond ones he'd topline. 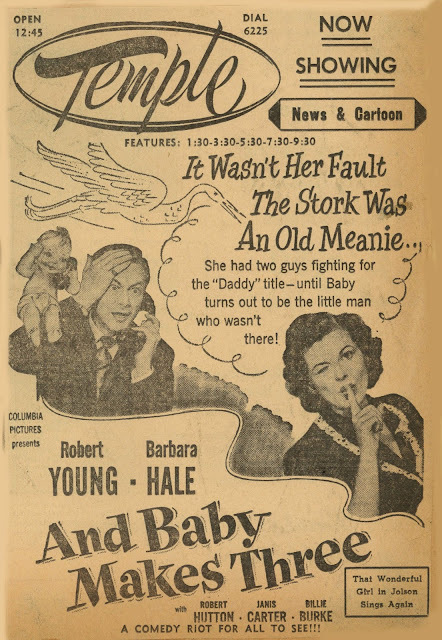 Initial plan was Ronald Reagan for Baby's male lead, but he ankled at a last minute, so R.Young came in to sub. The set-up promised something saucy, but PCA-iced cake wouldn't rise. 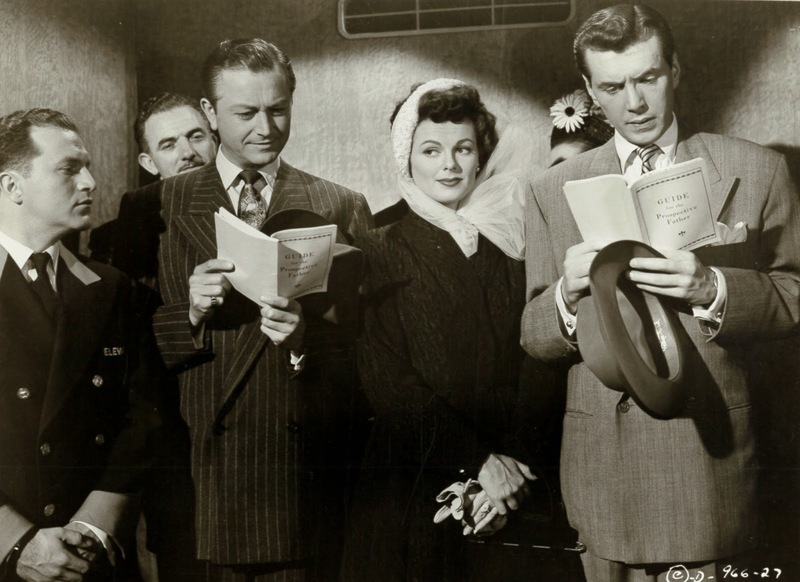 There is slapstick, love rivalry, misunderstandings; whether it works depends on cast aptitude for farce, Robert Young having what others in this case lack. Comedy was still genre of choice for widest audiences, so Baby was no gamble for the Bogart firm. You wonder what creative input, if any, he might have had. HB, like many postwar stars and/or directors, wanted more gravy than performer pay allowed, thus boutiques like Santana grown like weeds. Trouble was, none could afford even a single flop (consider what The Fugitive did to John Ford's Argosy company). Santana needed to turn over their product quick and so pushed Columbia to get same into release within ninety days of negatives being delivered. And Baby Makes Three earned $690K in domestic rentals, less than what other comedies brought to Columbia that season, and certainly below revenue a Santana with Bogart could expect. The star kept ownership in negatives until 2/55, when he sold the lot to Columbia for a million, HB's single largest payday (he'd frame the check and hang it in his den). Wonderful Barbara is now 93.